Setting up a display at a trade show is expensive business. You have to rent the space, create a display, promote it, stock it, and staff it. Before you decide to get involved, take a serious look at the costs of all of these components. Start planning well ahead. You already know this, right? Keep yourself as organized as possible right from the beginning -- even before you book your space. You know how carefully today's brides plan their weddings. Months, even years ahead, they start thinking about the church, the reception, the dresses, the flowers, the cake. And of course, the cost. Well, you're the bride. Grab your planning book and start writing down everything you must do to get yourself ready for a successful trade show season -- next year's. Even before you decide to go into a show or two, you should have a hard look at the costs and expected returns. This is why you create a trade show budget. Whether you admit it or not, everything has a cost, and trade shows are no exception. Remember that your objective is to make sales, or at least generate opportunities to make sales. So you have to view your costs in that light. Everything should be done with an eye on its potential return. **How to Start your Trade Show Budget Planning** The normal starting point for your campaign is the trade show budget. If you work from a budget, you have an outside chance of keeping your costs under control. Of course there is a certain amount of hocus pocus involved in budgeting for things like trade show marketing -- especially if you've never seriously done it before and have no track record to go on. Still, you should give it your best shot. This is not rocket science, and any research or analysis you do will be better than just "winging it". Try using a "brainstorming" process similar to the following. First, ask yourself some BIG questions: Question 1. Do I really believe I can recover my costs within a short enough period of time to make it "profitable" (make more than it costs)? Answer 1. 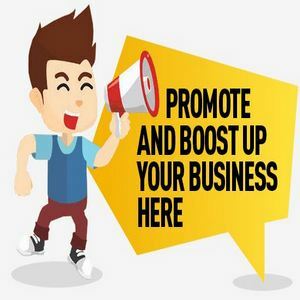 Like most promotion and advertising, until you've done it, you have little idea how successful it will be. First you will have to summarize all the costs, and then try to figure out how many sales you're likely to get from this sort of exposure. Question 2. Do I have any idea which trade shows are more likely to be "profitable". Answer 2. There are trade show directories and reports that can tell you about industry-specific shows. Usually they will tell you the number of attendees, and hopefully something about their buying habits. Find the relevant directories, and figure out some method of choosing between shows. Question 3. Are there obvious ways to enhance my "Conversion Rate" -- the number of attendees who buy from me? Answer 3. Yes, of course. Having an attractive, eye-catching display is a good start. Getting a good location on the floor will help. Setting up your booth properly will help you "process" the attendees more efficiently. Having a lead-gathering system will help you do more profitable follow up. Giving out memorable hand-outs will enhance your chances of being recognized later on. Training your booth staff could make an important difference. Ask yourself a few more questions like this to get yourself in the right frame of mind. Then you'll be ready to start preparing your trade show budget. **Let the Planning Begin - Selecting Appropriate Shows** Begin by assembling the following information (and anything else that seems relevant as you go along): Find a trade show directory for your industry (online is the best source), or check out the major trade show venues or exhibition companies. They will put you on the right track very quickly. Select the 10 most promising looking shows — based on your "gut feeling" about their potential for your campaign. Make a chart and list the five or six most relevant bits of information for each of your most promising venues: - Location - Date - Number of attendees - Geographic area served - Target market (who will be attending) Calculate Your Costs for Each Show Now add some columns to your chart where you can list the costs that are specific to each show: - Booth space cost - Other space-related costs - Travel costs to and from the show - Things to rent or buy at the show (tables, power, etc.) - Accommodation costs for booth staff - Shipping costs for booth display(s) and materials - Vehicle rentals required **Campaign Costs when Entering a Number of Shows** Now think about the actual "sales process" and make a list of what you will need in order to have a successful trade show experience. These will usually be things that will be used for several shows, so think of them as "campaign costs" that will be amortized over a number shows: - Display booth design and production - Product literature - Hand outs - Staff training - Show promotion (free passes to clients, etc.) If you estimate that your campaign costs will service 4 shows, then take these costs and add 25% of the total campaign costs to the cost of each show.